The Colca Valley, located in Arequipa’s Caylloma province,expects to attract some 25,000 visitors in August,Arequipa’s anniversary month, the Head of Autonomous Authority of Colca (Autocolca) Jose Luis Talavera said Tuesday. 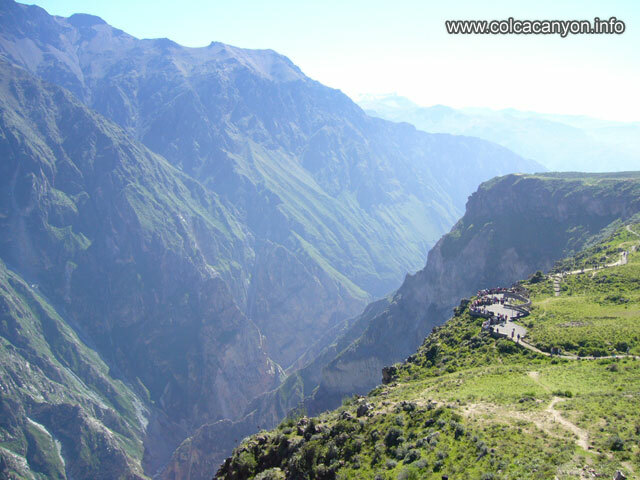 He said that August is a very favourable month for the Colca Valley because many tourists arrive to the city of Arequipa to participate in the anniversary celebrations and take advantage of their stay to visit the Colca Canyon and its surroundings. Although we haven’t got July’s tourism data yet, more than 20,000 tourists are expected. Autocolca figures indicate 7,331 tourists visited Arequipa between July 28th and August 1st, of which 4,335 were Peruvian and 2.996 foreign, higher growth over the same period last year. “We estimate that about 25,000 tourists will arrive for Arequipa’s celebrations, the number of visitors increases significantly, and we are preparing for that by improving services and the maintenance of roads,” the official said. The Colca Valley, located 165 km north of the Andean city of Arequipa, is a land of beautiful places surrounded by terraces, snow peaks and old towns founded in the 16th century. It is also one of the world’s deepest canyon and home of the majestic Condor.